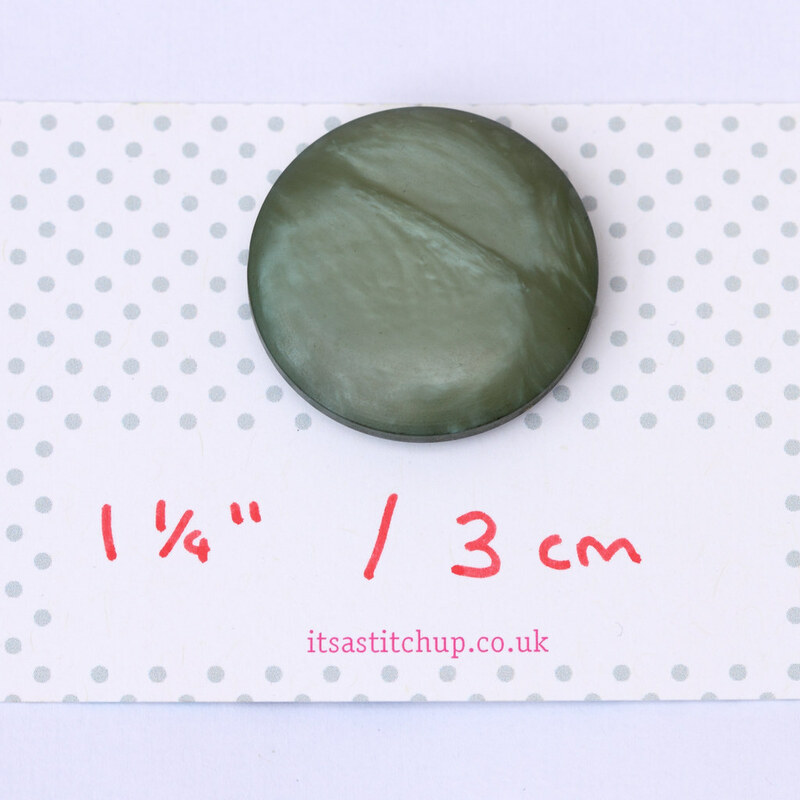 Large, vintage, shanked, plastic button in a grey-green colour with pearl effect. Part of an inherited collection of buttons from 1950s-80s. Button measures approx. 30mm, 1 1/4″ in diameter.